That intimate side turns out to be quite beautiful if also rather depressing. Peter Bjärgö spoke about issues of depression and sorrow, but it was felt on a more global scale, similar to the latest Sophia album, but in a much more personal manner. Animus Retinentia takes us to this more personal place. A time in Peter’s past when things didn’t seem so bleak and depressing. A time when he had great hopes for his future, as well as the future of our world. Its a reflection on these times, through the lens of an adult who knows all too well the terrible state of affairs on our planet. Now in a time after the illusion has been shattered, looking back on childhood happiness can be a great comfort. In this way, Peter Bjärgö taps into that comfort, allowing it to blossom into a full album of music which is equally melancholic and inspirational. The senses of childhood happiness and adulthood depression are both played out masterfully, each being given its room to leave an effect on the listener. The instrumental tracks scattered through the album touch more on that adulthood melancholy, while the lyrics are often living in the memories, or reflecting upon them. The vocals are at an all-time high level of quality. Peter Bjärgö has shed all sense of reservation on Animus Retinentia. He delivers each set of lyrics with a confidence that can’t be denied. There were hints at this development on the last solo album The Architecture of Melancholy, but only now has this become a purveying force throughout the entirety of the album. The delivery is in a deep bass range. It exudes the confidence and melancholic pondering of the album to perfection. The lyrical content is well thought out and often quite emotional. The track “Transcend Time” for instance, shows the dichotomy between those childhood inspirations and the more depressing developments of adulthood. Lyrics like “… I need the curiosity now, everything was glowing, but the glow has faded, time has come to remind me.” show his inner dilemma, one which is surely relatable to many listeners. 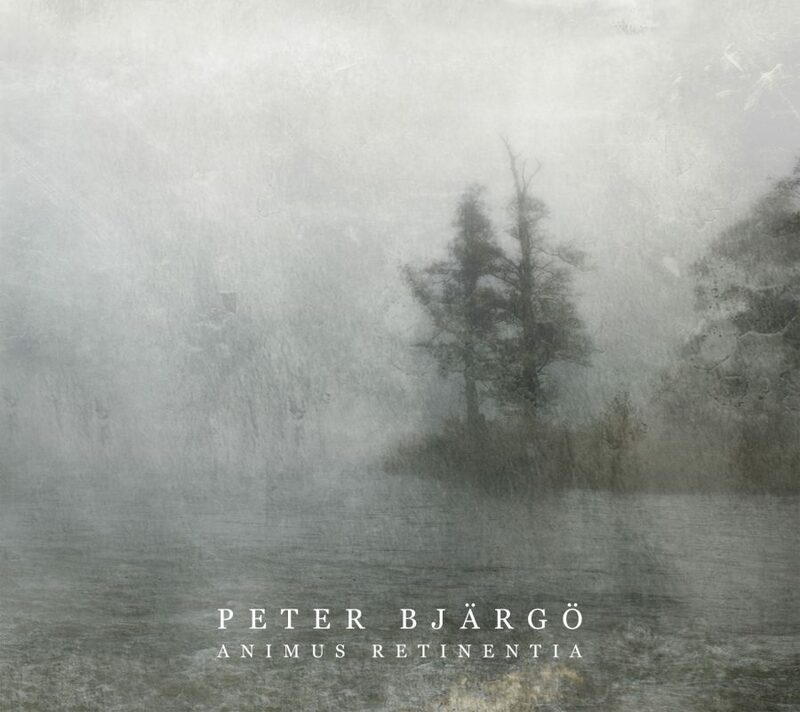 The music on Animus Retinentia, is some of Peter Bjärgö‘s best yet. He manages to bring together a combination of looped elements with gentle synth sections, and his emotionally charged acoustic guitar parts, all coalescing into a warm and full sound. “Where Night Is Eternal” showcases a toned-down approach with a glitchy drum sequence. Then tracks like “From Agony” take a bold approach, again proving that his level of confidence in this style of music is at an all-time high. As the album reaches its terminus on “Sleep Dep.Loop2” it’s almost as if there are thoughts trying to repeat themselves, while an increasingly present drone pushes forward from the background. The listener is allowed the sensation of trying to remain in this dream state, remembering the lost childhood naivety. While a beeping starts to push into the background, likely an allusion to an alarm clock, slowly bringing the dreamer back to a reality filled with despair and decay. A reality which played itself out full-force on the last solo album. This reality was also the reference point for the last Sophia album, Unclean, which focused on an apocalyptic reality where humanity had finally gone beyond the point of return. After so many years making music, one would think Peter Bjärgö must be running out of ideas and inspirations. Yet, there is no sign of this. Animus Retinentia as well as Unclean by Sophia have been some of his best work to date. There appears to be no stopping him from continuing with innovations and fulfilling his duties for each project with which he collaborates. Animus Retinentia is a highly recommended album. Any fans of any variety of post-industrial and neoclassical genres should find plenty to love here. Peter Bjärgö has created an album which should have an emotional resonance with a vast number of listeners. For, how many of us truly enjoy this time in history? How many of us miss that childhood passion and naivety? If you’ve ever pondered these questions, Animus Retinentia is the soundtrack to your ponderings.